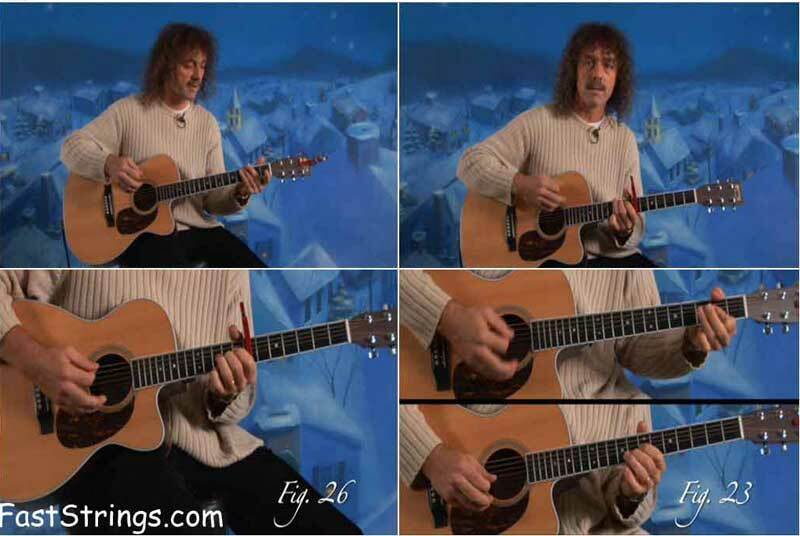 Play Holiday Songs on the Guitar Guitar World DVD download. This DVD is the ultimate guide to playing holiday songs. With more than 80 minutes of lessons, Play Holiday Songs on the Guitar will help you evoke the holiday spirit with your playing, and teach you valuable skills along the way! Plus, as a special bonus, you’ll learn a Christmas medley for the electric guitar featuring “Little Drummer Boy,” “Silent Night,” and “Auld Lang Syne.” Jimmy Brown plays the 8 holiday songs, each in different keys and ways of doing it.